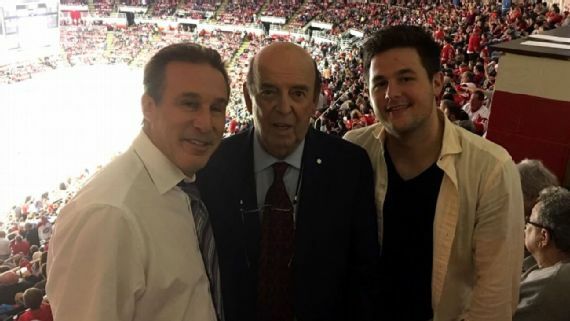 Today the Detroit Red Wings Play-by-Play Announcer Ken Daniels, visits Washington to share a different story, one that took place within his family, not on the Little Ceasers Arena in Michigan. Daniel’s lost his 23-year-old son Jaime, in 2016 when he overdosed on a deadly concoction of heroin laced with Fentanyl. Ken was interrupted while wrapping Christmas gifts on December 7, 2016 when a police officer showed up on his doorstep. He had become familiar with law enforcement throughout his son’s drug abuse and was surprised when he was greeted by an officer he didn’t recognize. To Ken Daniels shock, the officer informed him his son was not arrested or broken the law, but had passed away. According to an autopsy report, Jaime died of an overdose of heroin that was laced with fentanyl. Ken was confused, wondering how his son could overdose in a sober living home. Ken was determined to find answers while investigating the dark and disturbing side of the billion-dollar rehab industry of South Florida. Jaime Daniel’s attended Michigan State University where he became the video manager of the Spartan’s Hockey Team and talking about going into law school and becoming a sports agent. Then he joined a fraternity and as told by his friends, began using heavy drugs. Farber told how in Jaime’s freshman year, he began using Cocaine and then Vicodin and Xanax. Soon away from school, his family began noticing the obvious signs of addiction. “You’d see him at night and trying to put a coat on and even struggling to get the arm in there. But you’d say to him, ‘You high?’ ‘No, I’m not high,'” Ken says. His younger sister talked about a public incident where her brother was acting out of control and was barely functioning. “He couldn’t talk. He couldn’t stand up straight, and I was embarrassed to have him there. I took him back to my apartment … I couldn’t handle it,” Arlyn said. Both Jaime’s parents Ken and Lisa were exposed to the angry and dangerous side of drugs. “The s— that will come out of somebody’s mouth who is on drugs is amazing. The crap that they’ll say … it’s another person, just takes over the body,” Ken says. While home from college, he split his free time between his mother Lisa and Father, who had divorced when Jaime was 9. Lisa recalled one of the more violent rages her son expressed while under the influence. “I can’t remember what prompted it, honestly, but threatened me. He threatened to kill me,” Lisa says. She explained that Jamie was always remorseful and was always sincerely apologetic after lashing out. But regardless of the sincerest apologies, she says, she took the threat seriously enough to remove the knife set from the kitchen counter and lock her bedroom door at night. While Jaime was a heavy drug user, he was able to function as an addict and a college student. Maintaining a 3.5 GPA and frequently staying on the Dean’s list, he was able to graduate in May 2015. Over the following summer he started working at mortgage company in Downtown Detroit, and also became a camp counselor in Ortonville, Michigan. It was at the camp one hour north of his father’s house where he reached the low point that resulted in his first real call for help. Ken placed Jaime in a rehab in Michigan but his stay was brief and was followed by relapse two weeks later. Over the next month Jaime’s parents were subjected to his lies, hospital stays and a car accident. The car accident where he had flipped his car and called his mother from his cell phone while hanging upside down from his seatbelt. He walked away with minor injuries and not long after, agreed to out of state rehab in April of 2016. His mother Lisa had heard of an intensive inpatient program in Palm Beach County, Florida. At age 22 Jaime boarded a plane to South Florida with the intention of obtaining sobriety. Palm Beach County Florida is headquarters to hundreds of unregulated treatment programs, who advertise resort like conditions and weather, with the promise of lasting recovery and a second chance. But with three quarters of its patients in the private treatment centers, South Florida has earned its title as the recovery capital of America. But Palm Beach County also held an equally important title, as the county with the most overdoses in a single year. 571 people died from overdoses that year, more than any other county in the state and jumping up 110% from the previous year. But Jaime had a good start. He checked into Beachway Therapy Center in Boynton Beach, costing more than $15,000 a month for the intensive inpatient therapy. He stayed for over a month then transferred into a sober living in Delray that featured a supervised apartment complex. He stayed in Sober Living for more than five months and worked as a clerk in a local law firm during that time. But he began to grow annoyed at the over structured environment because of the constant spot checks and urine tests. On November 1, 2016 Jaime moved into the sober home “Miracle House” blocks away from the Sober living home he was at the beach bungalow style home was in the middle of a residential neighborhood in Delray Beach. “The whole concept of having kids in a sober house, to mutually support each other and keep each other honest and struggle together for sobriety is pretty good — done right. Done wrong, the results are much worse,” says Marc Woods, a code enforcement officer for the city of Delray Beach. Woods, has spent the last 30 years working as a police officer in Delray Beach before retiring in 2009. Around 2014 Woods started noticing a shift in ethics at the sober homes in the neighborhood. When the Affordable Care Act kicked in policies were lifted for insurance companies that limited the policies for drug treatment, which then gave treatment centers a “blank check”. During the shift in the insurance policies, sober living homes began treating urine samples as liquid gold because insurance companies would reimburse them for the tests. And so began the insurance fiasco involving patient brokers and marketers that would lure addicts with good insurance and pair them with unregulated sober homes. With a less structured environment and cheap rent, insurance companies then would bill out tens of thousands of dollars for unnecessary drug treatments. And the trend continued, the growing number of sober homes estimated to be in the hundreds started opening in neighborhoods across Palm Beach County and with the privacy protections in place under federal law, local governments had no say about it. “Now you have sober home owners, who are using that law designed to protect individuals in recovery, so they can prey upon people in recovery,” said Dave Aronberg, State Attorney for Palm Beach County. The Florida Shuffle has been investigated in the past by such media outlets as The New York Times, the Palm Beach Post and South Florida Sun-Sentinel. Jamie’s story was first told by The Athletic. Jamie became another one of the victims of the Florida Shuffle, supported by his father’s insurance, he was sent for tens of thousands of dollars in urine tests while living in various sober homes. “About every two days, they were doing blood and urine testing, and the charges were anywhere from $4,000 to $6,000 a test,” Lisa Daniels says. Urine tests, even on the high end, should cost no more than a few hundred dollars per test, says Ege, the manager who supervised Jamie at Sober Living in Delray. Most reputable treatment facilities, Ege says, conduct drug screens for opioids that cost no more than a few dollars a test and can be purchased from the local drug store. Jaime came to visit during Thanksgiving Break 2016 and that visit was significant in two ways. First it was the last time Ken and Lisa would see their son alive. The second being that during that time, Ken’s Insurance was billed for urine specimens three times during the dates of November 23, 25, and 27th, when Jaime was in Michigan visiting his family. “I figured, when he went back … I was thinking in my head, you know, ‘How long is he going to stay down there for?’ And then the s— hits the fan,” Ken says. When he returned to Florida, Jaime moved sober living again and started renting in a home where he stayed in converted garage turned bedroom at Sea of Recovery, Boynton Beach. He told his parents rent was only $50 a month and he shared the room with one other person in recovery. “I started hearing something in his voice. His voice just sounded off … but I thought, ‘He’s in a home. They drug test. It’s the safest because, if he were using, then they would know,'” Lisa says. Kade Potter, Jaime’s short-term roommate at Sea of Recovery, told media that during their time together in that room, they were regularly abusing drugs together. And that Jaime was using his drug of choice, Xanax, again. Potter even claimed some of the drugs came from within the sober home and said one of the managers at Sea of Recovery Emmanuale Merilien, knew drugs were being dealt to the recovering addicts in the home. But this wasn’t the first time this tactic had been used within the world of sober living. Code Enforcement Officer Woods talked about the horrible practices that would take place in these unregulated homes. Insurance forms from less than a week prior to Jaime’s death showed he was drug tested at a facility named Journey to Recovery. Jaime and other addicts would be bussed to the facility for testing and therapy and then sent back to their sober living homes. Owner of Journey to Recovery Kenneth Chatman was sentenced to 27 and a half years in prison in May 2017 for his role in the insurance scam. During court, Chatman admitted to knowing that drug dealing, and prostitution took place within his sober living homes and he obtained millions in illegal kickbacks from treatment centers. Four days before Jaime’s death, he was prescribed Alprazolam which is a generic version Of Xanax, the anti-anxiety medication that he had struggled with in the past. Chris Ege, who managed Jaime’s first Sober Living home in Delray was shocked when he found out about the prescription. The official cause of death was listed as “acute heroin and fentanyl intoxication” The report also showed the presence of the generic Xanax brand Alprazolam. On the morning of December 7th, 2016 , Jaime’s roommate Kade Potter awoke to the sober home’s manager Emmanual Merilien’s screams. Jaime was white and motionless lying on the floor a few feet away from Potter. When police arrived, there were no signs of illegal drugs or paraphernalia to be found. Potter admitted he never reported the allegations against Merilien because he was afraid of him. Merilien has since left the rehab industry and is now training to become a massage therapist. Merilien has no criminal record in Florida and is not facing charges or being investigated for the way he handled or reported Jaime’s overdose. He vehemently denies profiting from Jaime’s drug treatment. Even four months after their sons’ death, Ken and ex wife Lisa continued to receive medical bills and insurance claims from the facilities Jaime lived in before he died. Now his parents are sharing his story, party to remove the stigma that surrounds addicts and their loved ones. Jaime was not a nameless stranger, he was college educated, working in law firm and had a loving and supportive family who were trying to help him, and still he was struggling to beat his addictions. They want people to know, if it could happen to him, it could happen to anyone. Ken has been visiting community groups and high schools in recent months, educating people about the dangers of drug addiction and the shady underbelly of addiction treatment in Florida.